We all know the tired cliches – “Patience is a virtue,” or, “The good things in life are worth waiting for.” Even though we know in our heart of hearts that patience is the best policy, sometimes we give up on it before we should. 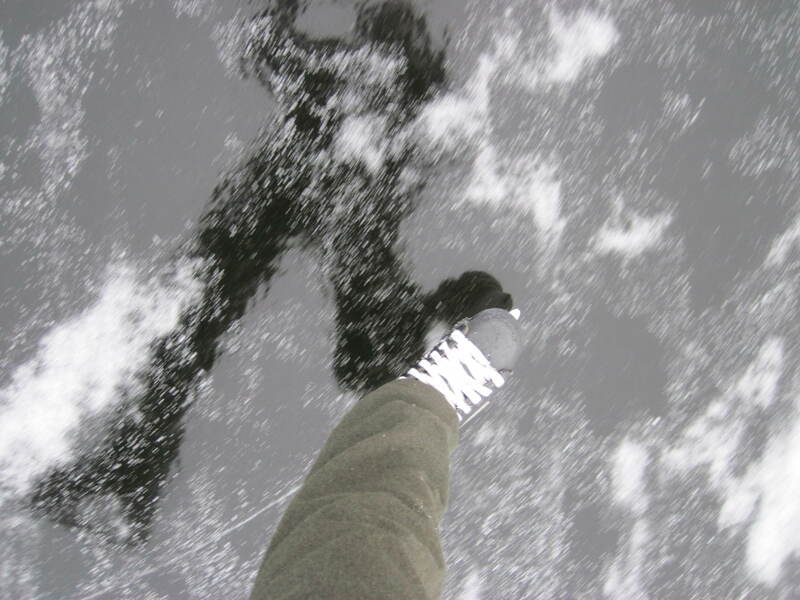 Last week, I glumly wrote off ice skating for this early winter of 2015-16. Round Lake certainly wasn’t freezing up in a way that was going to be conducive to ice skating and as we watched day after day of unseasonably mild weather go by, we started to have our doubts that the big lakes along the Gunflint Trail were ever going to freeze. 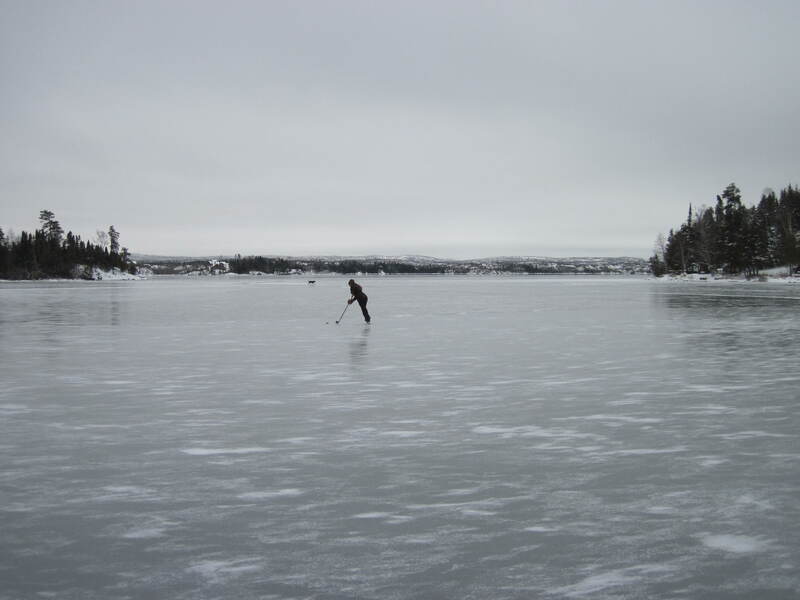 Yesterday we received a call from our old stomping grounds up on Seagull Lake to let us know that Seagull had frozen over the night before and that the north bay was filled smooth “skating rink” ice thick enough to traverse. We threw skates, sticks, and pucks in the truck and in about 45 minutes, I was perched on a shoreline rock, lacing up my skates. 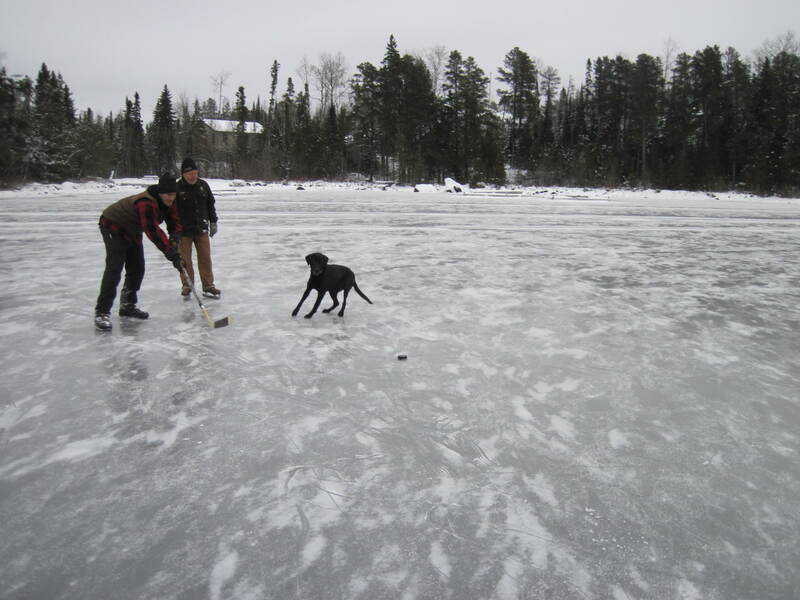 Smoke the Black Lab turned into a puck retrieving machine. Is there anything better than the sound of skates cutting through the smooth ice? Attempting to brush up my figure skating chops . . . . Ice’s been a bit of a fascination lately. 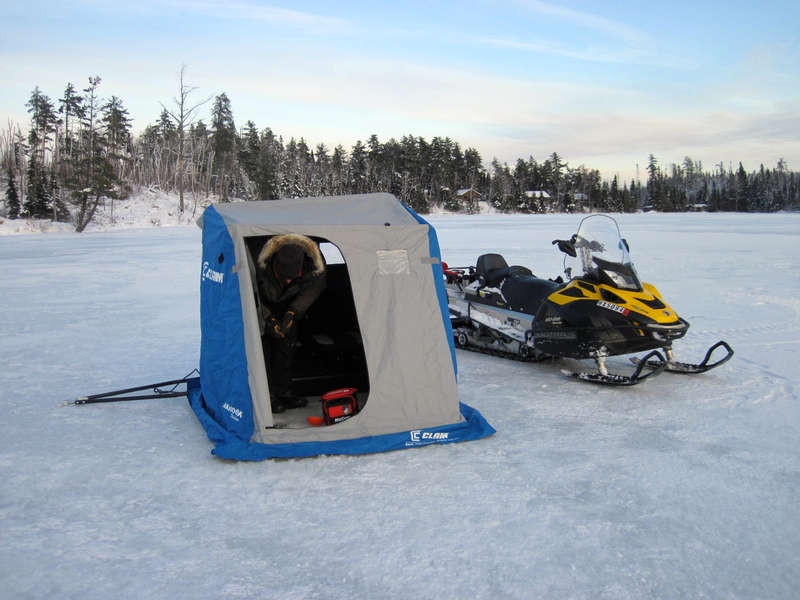 Right now, Round Lake is steadily building ice and although the ice is rubbish for ice skating, it’s perfect for exploring and some early season ice fishing. You can check out our video of Andy testing the ice depth on the Tuscarora Facebook page. 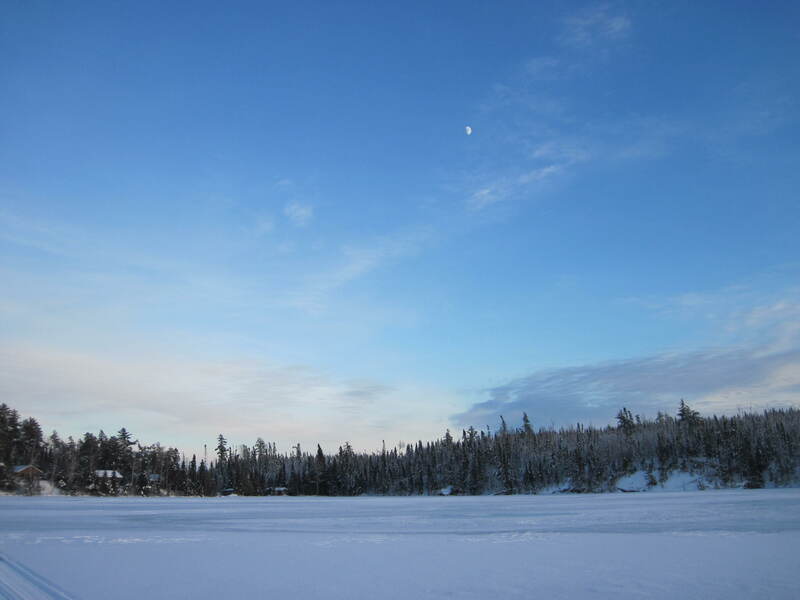 Please don’t venture out on the Gunflint Trail lakes without first checking with locals for the latest conditions. The lakes remain unsafe in many spots and the ice on the open sections of large lakes like Seagull Lake is still very new and needs a few more days to thicken up before we ask it to support our weight. In addition to the late ice-up, the Gunflint Trail received 12+ inches of snowfall last week (cross country skiers and snowshoers rejoice! 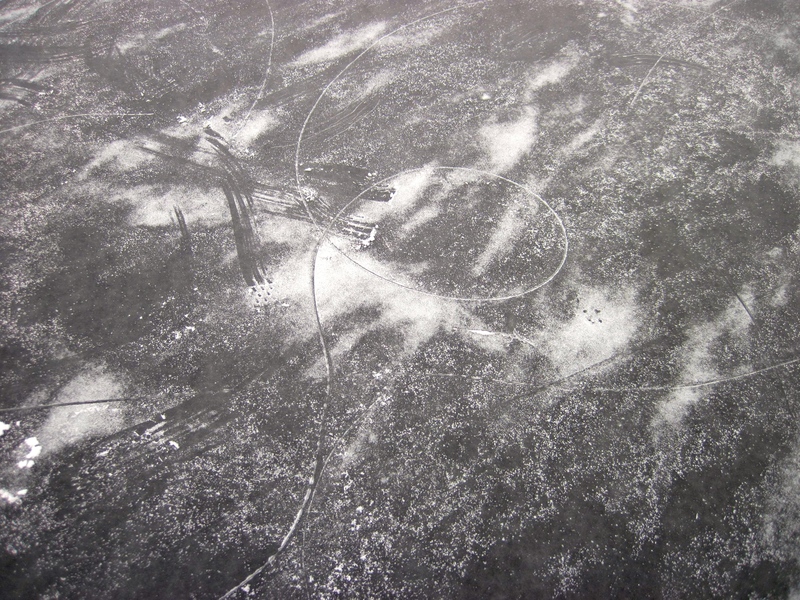 ), which creates slushy pockets on the lake that had already frozen. But we’ll tolerate a little slush if it means living in a real world snow globe. 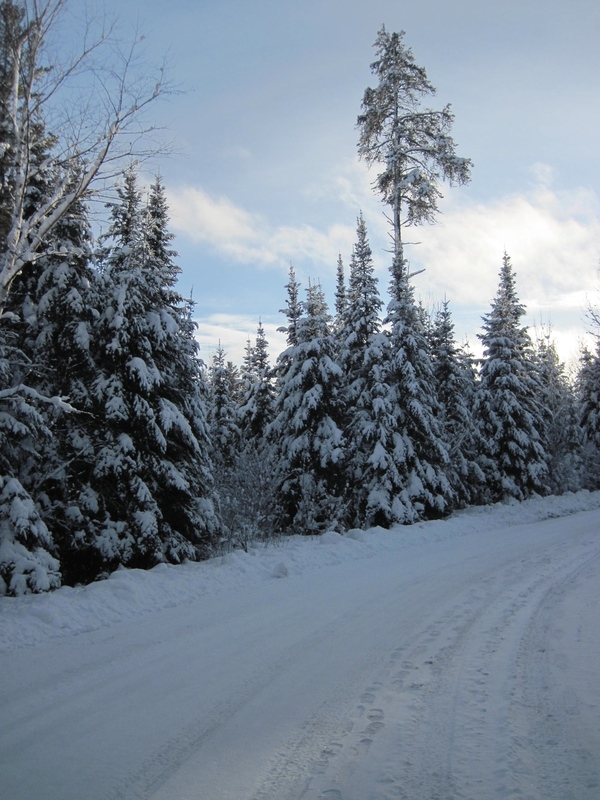 We’re so looking forward to another White Gunflint Trail Christmas. Welcome winter!